For hanging our Prima Heat Lamp above poultry brooders. Adjustable height allows user to control the surface temperature of the brooder floor. 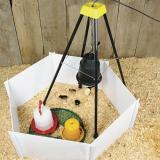 Adjustable height allows user to control the surface temperature of the brooder floor. Large chain (to adjust height, attach links to holder). Heat lamp clip (securely holds lamp to chain). Note: If you need a replacement, see "Replacement" tab above. Light assembly required. 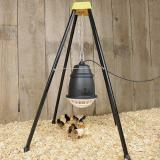 See our Prima Heat Lamp and heat lamp bulbs. Replacement components for the Premier Heat Lamp Stand. These are an essential component of every brooder we set up. 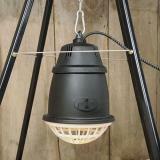 So easy to use and you don't have to look for a safe place to hang the heat lamp. One-piece legs are far superior to the original two-piece design. Had 1, loved it, ordered a 2nd one. My premey Zebu calf is thankful. He can get right under it and snuggle in and I don't worry about him tipping it over. Great design and quality. Like it a lot. I wish that you offered several lengths of legs for more applications. The screws for the leg braces are the only thing that could be changed to make this a fantastic product. The screws are too short and pop out easily. I plan to drill a hole all the way through the leg and secure with a screw and nut. Easy to assemble. Works great with the heat lamp. Ability to adust the lamp to different heights. 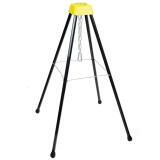 My expectation was for this stand to be much more sturdy. 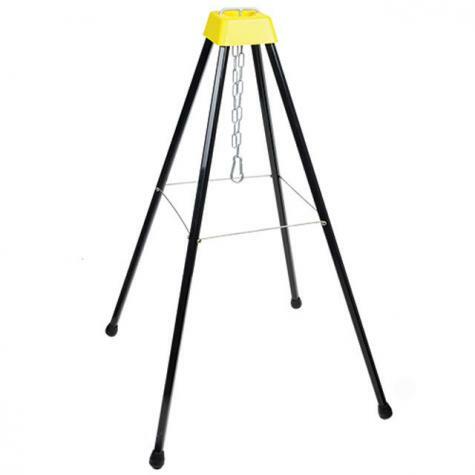 The single piece legs are NOT made of a high quality HARD plastic. If the legs were made of the same rigid plastic density as the yellow cap (or were made of metal), I would have given it a higher rating.